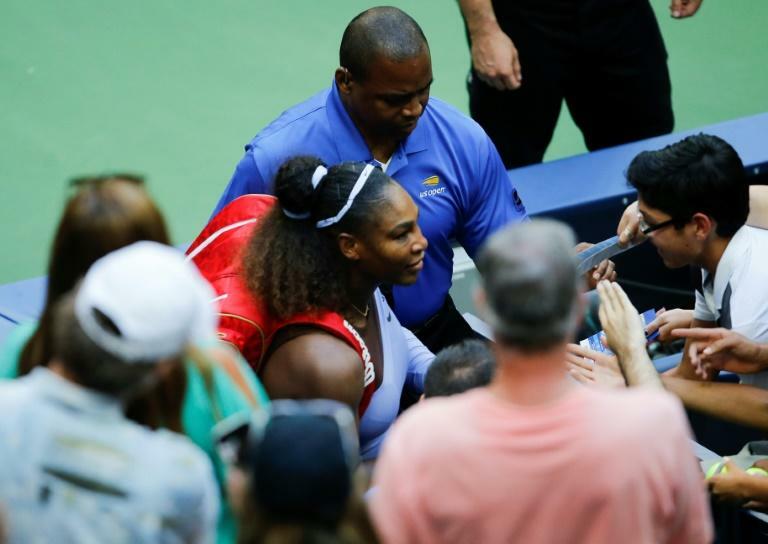 Serena Williams booked her spot in the US Open quarter-finals on Sunday, and said the biggest challenge of her post-pregnancy comeback was regaining fitness. "Coming back from a baby is really hard, harder than I thought," said Williams -- drawing a cheer from the crowd on Arthur Ashe Stadium who had watched her 6-0, 4-6, 6-3 victory over Estonian Kaia Kanepi. Her victory came a day after daughter Olympia turned one year old. Seeking a 23rd Grand Slam title -- and her first since the 2017 Australian Open -- Williams said the greatest improvement she'd made since her return to competition in March was fitness. "That was the most important thing for me to improve, was to be fit and be able to stay and play long matches," she said. Williams was already pregnant when she won her most recent Grand Slam title, at the 2017 Australian Open. Since returning she has withdrawn with a shoulder injury from the a fourth round match at the French Open, and reached the final at Wimbledon, where she fell to Angelique Kerber. Williams, whose recovery from giving birth was complicated by life-threatening blood clots, has been open about her emotional struggles as a new mother and the difficulty of balancing her commitment to caring for her daughter and her career. She said she believes new mothers should be more prepared for the fact that it can take time to recover from childbirth. "I think society puts it out there that you'll just kind of snap back and that's just a myth," she said. "I feel like it's important for women to know that it doesn't happen like in that Instagram world. "In the real world, it takes a while for your body to come back. Not only that, like mentally and physically and dealing emotionally with providing for another child, it's a lot that goes into it. "And I was just living in this world where I thought it would just automatically come together. So I had to realize and live in reality." Asked if she was already thinking about a little brother or sister for Olympia, she said not quite yet. "I have obviously thought of having more kids, and it will happen, God willing, in time," she said. "Right now it's not time yet because I'm thinking about playing tennis and enjoying this time with Olympia."